This is a very nice, large specimen of Asaphiscus wheeleri from the Cambrian of Utah. This trilobite was found by Steve Hess in 2006 at the U-Dig site. 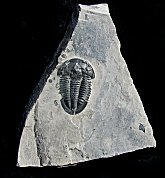 This type of trilobite has a huge, semicircular cephalon and a large, somewhat rounded pygidium. This bug is nicely preserved in a prone, outstretched position. Both free cheeks are intact, which is quite unusual. The dark color of the fossil contrasts wonderfully with the lighter-colored matrix. 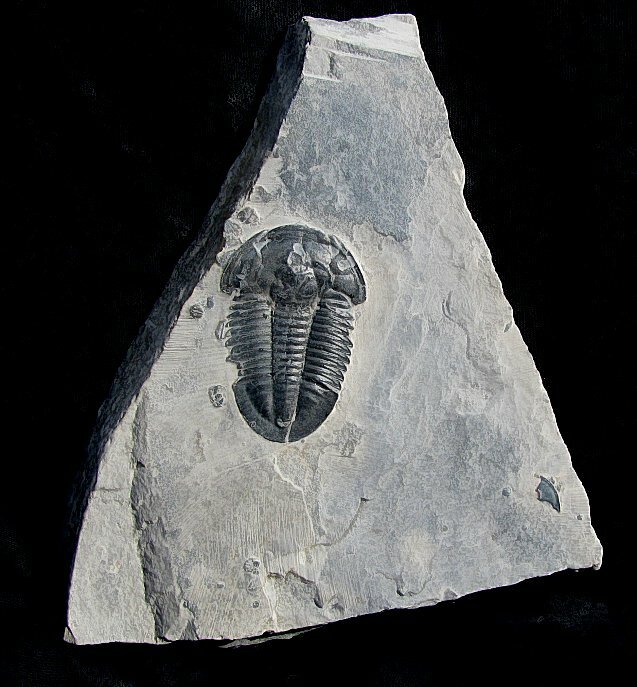 The trilobite is very well showcased on the large, natural plate of shale. This is a very fine example of Asaphiscus from the House Range of Utah.